I know these aren’t very detailed, but they were just design terms that I had heard and thought were cool! Two of the other entries included print-outs from different design websites. I’m not even sure what websites because I didn’t write them down, but the title was “Getting Started–Inside Your Home.” It basically explains the basic steps on designing your home by yourself. 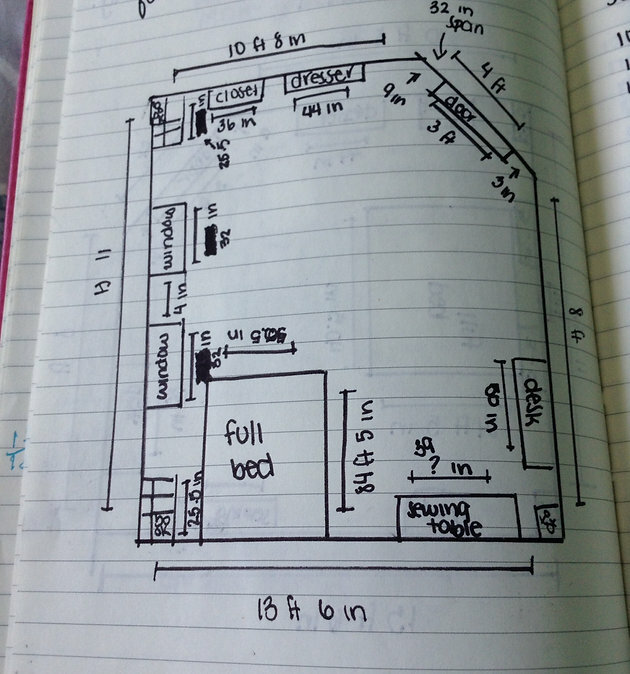 The 3rd and 4th entries are basic sketches of what I wanted my bedroom and office to be like at the time. The drawings are awful, not to scale, and not detailed at all, but I still love them because they’re the first design drawings I’ve ever done! Finally, I had an entry that detailed the first steps of my room redecoration. Yes, I know, it has taken almost two years to get my room to the way I want it :) Anyways, it just listed what would go where all throughout my room, things that I wanted to keep, and things that I wanted to change. Since I started my design journal, I definitely have not written in it consistently! After the May 12, 2012 entries, I wrote about five more entries the entire year. 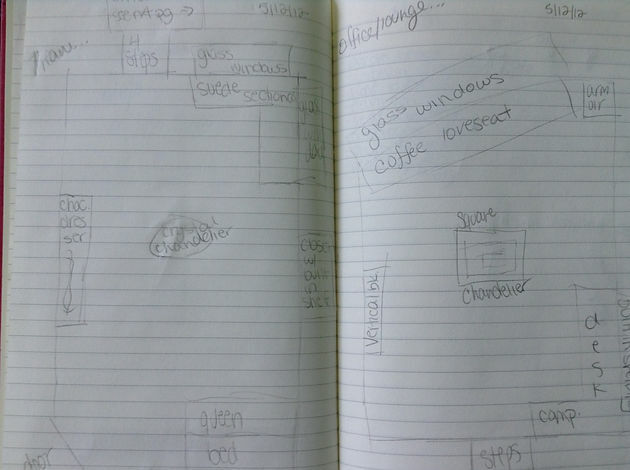 Then in 2013, I wrote a little bit more, including more details notes and sketches for my room redesign. I also wrote my design plans for my younger cousins bedroom, but not much. Finally, on March 16, 2014, I really started writing in my design journal. 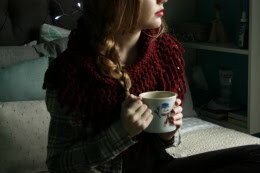 I use it for design ideas, blog plans, and quick sketches! If you are trying to get involved in interior design, I would definitely recommend starting a design journal! Overall, I think I have grown a lot “design-wise.” I used to just say, “I like big glass windows and pretty chandeliers.” Now, I am starting to define my own design style and form my styling tastes. I want to expand on this even more, and my high school actually offers an opportunity to do this! During my senior year, I will be participating in the intern/mentor program! I get early release for the last period and go to a design firm for an internship! I am so excited for it, and I can’t wait (as you can probably tell by all the exclamation points)! Plus, I hope to do the NYSID Pre-College program, or some program like that during the summer of 2015 or 2016. Over the last two or three years, my love of design has only gotten stronger, and I really think this is what I will be doing as a career!